Established in the year 2008, in Ahmedabad (Gujarat, India), we “Vision Embesoft Solution” are the leading manufacturer, exporter, trader and supplier of high quality range of CNC Laser Solutions. Our products are Laser Marking Machine, Laser Sawing Machine, Engraving Drilling Machine and many more. Under the direction of our experts, the offered machines are manufactured using cutting-edge technology and high quality raw material in adherence to international quality standards. These machines are acknowledged for their features like durability, low power consumption, maintenance free, long functional life, reliability, high performance and user friendly operation. In our quality testing unit, the offered range is inspected on defined quality parameters by using sophisticated testing tools and devices. We have appointed a team of skilled professionals, who work in close-coordination with one another and with clients in order to meet their exact needs. Our firm is supported by state-of-the-art infrastructural unit that is divided into several parts. Our infrastructure includes manufacturing, production, procurement, testing, research & development and warehousing & packaging. To ensure easy and smooth flow of work, all our departments are supervised by highly skilled and knowledgeable professionals. Furnished with modern machines and tools, our infrastructural unit empowers us to manufacture a flawless product variety. We are exporting our products all over the world. Our firm is blessed to have visionary supervision and knowledge of "Mr. Bhavesh Pethani" that allow us to cater to the choice of our valued clients. Owing to the dedication and hard work of our professionals, we have achieved a reputed position in the industry. Our clients can avail the offered range from us in several specifications as per their demands. Our transparent dealing, timely delivery and client-centric approach, have helped us to achieve the trusted name in the industry. 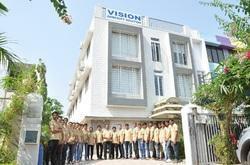 Vision Embesoft Solution (VES) established in the year 2008, in Gandhinagar (Gujarat, India). VES provides a hi-tech engineering solution to engineering industries and diamond industries . The offered services we render under our expert direction are Laser processing, System software, Embedded electronics, Machine vision, 3D applications etc. We also offer Laser processing system, CNC (Computerized Numerical control), SPM (special purpose machine) & Automation. VES an idea to craft professional organization committed to deliver high level of satisfaction to customers, employees, suppliers, shareholders & channel partners. It’s our endeavor to attain sustainable & soaring growth being shared by all stakeholders of the company. Vision Embesoft Solution has expertise in the field of Special Purpose Machines, Industrial Automation and Industrial Software solution. We have a team of professionals with average experience of 10 years in Indian Laser Industry like as R & D team, Software developers, Mechanical Designers, Laser Optics and Electronics team. To facilitate complete or one stop solution to our customers we offer customized solution. To facilitate a complete or one-stop solution to our customers we offer customized solution. It’s endeavor to create an organization dedicated to benefiting and growth of our customer, employees, supplier, shareholders and channel partners. Owing to our ultra-modern infrastructural unit, we are able to meet the wide and urgent requirements of the customer. We have divided our infrastructure into several parts such as production, procurement, quality testing, manufacturing, research & development and warehousing & packaging. Our state-of-the-art infrastructural unit is equipped with advanced tools and machines that help us to manufacture the high quality products. These divided parts are supervised by our team of experts who possess rich industry knowledge and experience. To enhance customer satisfaction by providing the product which confirm the relevant specifications. Provide our customers with the best value for our product/ services and provide those products and services on time. Provide systematic validation and control of design, manufacturing, operational and quality processes. Produces a system of employee insolvent, motivation and training. We participate in major leading exhibitions all over India. 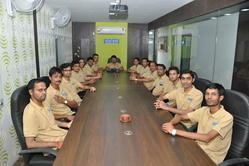 Vision : VES’s vision is to become most successful and respected engineering and enterprise solution Company in India. Being respected means respected by our customers, employees, suppliers, shareholders, associates and society. Being Successful means achieve sustainable growth to prosper all our stakeholders. Mission : VES''''s our mission to provide advance Embedded and Software solution for Diamond, Security, Machine Inspection, industrial and automation solution integrated with professional services at affordable rates to our customers by combining advantages of least overheads of smaller companies & best management practices of leading organization. With the help of our experts, we are engaged in providing high quality Laser Processing Machine and Industrial Machines. Our team of skilled professionals works in close co-ordination with customer in order to meet their specific needs within time. We have divided our workforce into different departments such as procuring agents, logistic personnel, quality experts, sales and marketing executives.we are working on the virtues of flexibility and freedom to bring about innovation from the grass root level. Serving as the pulse of our organization, our highly competent team works with utmost sincerity and dedication in every project undertaken by us. To keep our experts update with the latest market improvement, we organize several training sessions and workshops on regular basis. Due to our rich industry knowledge and experience, we are actively engaged in providing high quality Laser Processing Machine and Industrial Machines.